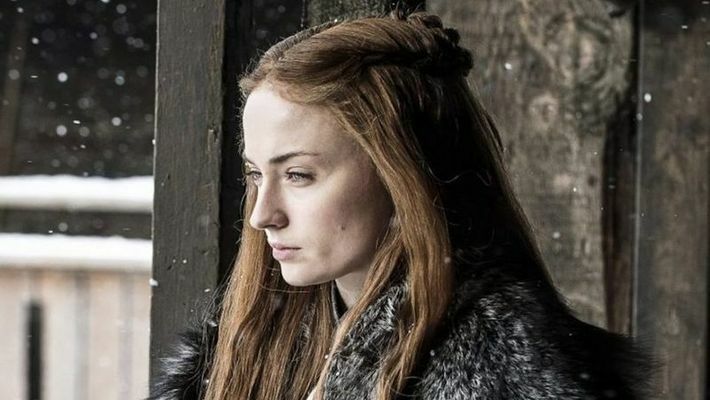 Actress Sophie Turner admits that she is a bad secret keeper and says that she has already revealed the Game of Thrones secret to her friends. Sophie Turner says she is "terrible" at keeping secrets and has already outed "Game of Thrones" much-awaited climax. The actor, who plays Sansa Stark in the hit HBO drama series, said the more unfortunate part was that she was "sober" when she gave away the ending. "I'm so bad at keeping secrets. I don't think people tell me things anymore because they know that I can't keep them. I've already told the ending of 'Game of Thrones' to a few people. "(I was) sober. I was like, 'Hey, if you want to know, I'll tell you.' But it's people that I know, not random people. It's people that I know will keep the secret," Turner told W magazine. The 22-year-old actor, who used to dye her hair red for the show, later in the series opted for a wig. "It gets very greasy. It never used to be like that. I think it's because I wear a wig on 'Game of Thrones', so the glue gets stuck in my hair, so I had to wash it every day and my hair is now used to that. "If it's any longer than two days, it gets greasy," she said. Kit Harington, Turner's on-screen 'half brother', recently revealed he asked the makers to let him keep the crypt statue of his character Jon Snow. Turner said she ditched the wig and kept one of her most revealing costumes from the sets as a souvenir. "I didn't want to keep (the wig). I was like, 'Goodbye!' The only thing I kept was a corset from the show. I wouldn't have wanted that wig. "I was thinking about framing it, but people might think it's a bit weird. Wearing it would be weird. And it's not the one that covers your b**bs," she said. The eighth and final season of "GOT" premieres April 14. Did you also cry like Kit Harington after watching 'Game of Thrones' ending? Is Hollywood stealing actor-singer Saru Maini from Bollywood?